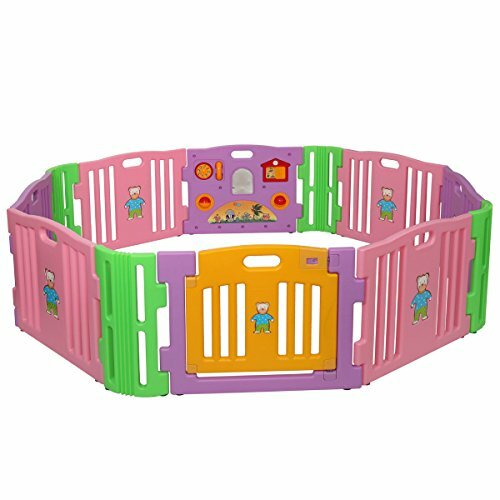 This Baby Playpen Kids 8 Playpen creates an engaging and safe area for baby and children to have fun. It features ball spinner, telephone and more. By removing or adding panels, you can increase or decrease playpen to change the size and shape. It's easy to relocate and store. Create an interesting and encouraging space for your baby as great gift to them. If you have any questions about this product by LAZYMOON, contact us by completing and submitting the form below. If you are looking for a specif part number, please include it with your message.